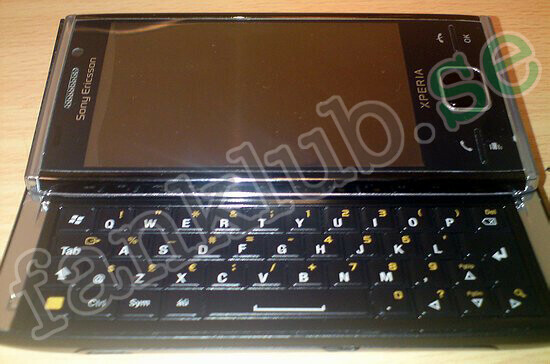 The other day we showed you spy shots of what appeared to be the Sony Ericsson Xperia 2. We now have some newer snapshots of the device to peruse, including a picture of the back cover that shows the model is sporting an 8.1MP camera. That is a huge jump from the 3.2MP shooter on the X1. And the photo also gives us a better look at the Windows logo to the left of the letter "Q" on the keyboard, confirming that the sequel unit will also be powered by Windows Mobile. The letters on the QWERTY look generously spaced, and while you can't tell from this view, the X2 is equipped with a "X panel" button on the lower left of the phone which tells us that the panels interface seen on the X1 will be given another chance with the X2. We are still waiting for Sony Ericsson to confirm that the Xperia X2 exists, and with the heavy traffic in the smartphone superhighway, we might not hear anything official for a few weeks yet. The original X1 is expected to make its North American debut as a carrier supported handset on June 9th, in limited Canadian cities through Rogers, as previously reported. this is sooo coool.. i have a x1 amd this one looks better..
cause i've totally seen a phone with a sticker that says its just a "show off" unit.